To become an American Citizen, applicants must learn about the complicated history of America - a story that draws people to our shores despite great risks. For those who arrive, not all is what they expected. There’s the tangled web of making bail for those who are caught crossing illegally. For those who live here without documentation, there is the constant fear of deportation. These films examine the story of coming to America under the most dangerous circumstances. 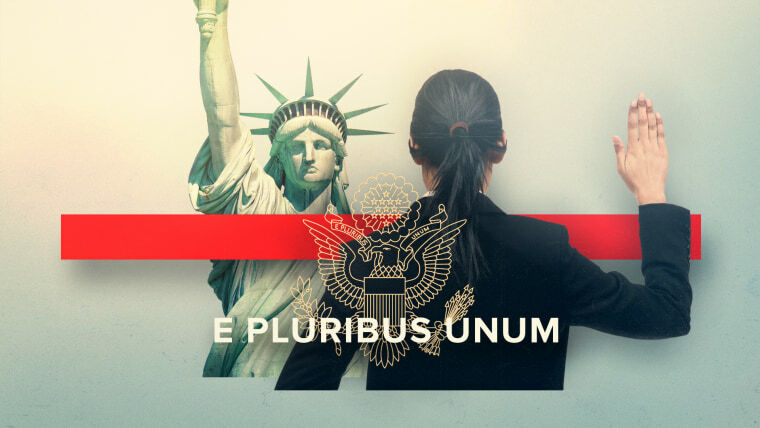 A Netflix original documentary short, Out of Many, One is a film about how one museum is using art, artifacts and historical documents to help green card holders prepare for the Naturalization Test and, in turn, become U.S. citizens. Directed and produced by Emmy award winners John Hoffman and Nanfu Wang, and will launch globally on December 12. A private company purports to help people held in immigration custody secure bail. In exchange for this service, its clients are forced to wear ankle monitors until their debts are paid. See how two New Yorkers’ daily lives are affected by this practice.